The most popular shabby chic colours of 2014 have managed to both surprise and meet expectations. In earlier years we’ve noted the dominance of whites and creams, particularly the Pointing and White Tie colours from Farrow and Ball. This year was no exception to the trend. Yes, other whites, such as Wimborne White and Strong White from Farrow and Ball are also now making an appearance, but Pointing and White Tie remain very popular. But in 2014 we’ve also seen the strong rise of the greys. French Gray, Parma Gray and also Charleston Gray have popped up during the year. They seem to suit chests of drawers, settles and desks quite well. Last year we noted their entry into the shabby chic colour league table when we painted several chairs in a variety of grey, green and blue shades. This year, though, they’ve really made a run. In fact, if you were to group all the shades of grey into one they might challenge Pointing for the top position. Maybe next year? Some subtle shades of green also made it into the list. An example was this green painted cabinet. But, we missed James White this year. It has very subtle hints of green that might well be lost with furniture but are very apparent with emulsion paint. Colour matches remain very popular. And we continue to use Johnstone’s paints for all these matches. Most times the colour shade is dead right, but we try to advise it’s an approximate match! 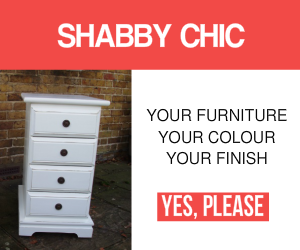 All the best with your own shabby chic projects in 2015! And, please don’t hesitate to get in touch when you are ready to discuss your next furniture pain project. Your Choice Of Shabby Chic Wax. Dark Or Neutral? When you feel that your furniture needs a revamp and the shabby chic style suits your home you can call us on 07766 225329 to find out more. 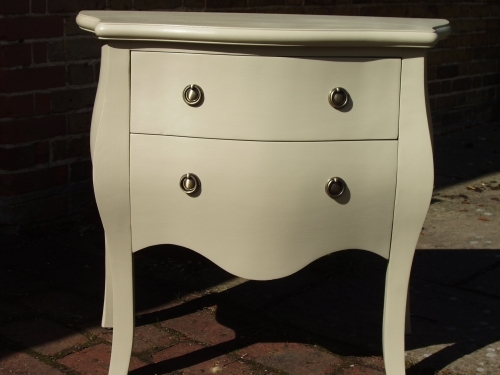 Or you can email us at Shabby Chic Surrey for more information or help with colour choices.